Remember way back when (in November), when I told you guys about Drop In & Decorate? 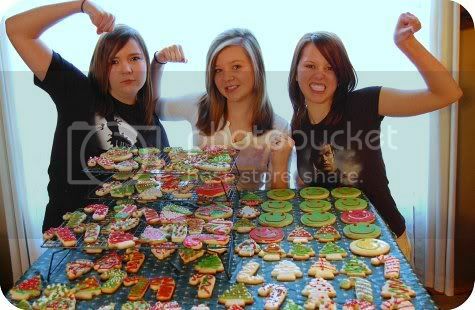 It's a group that makes and decorates cookies and donates them. It's run by Lydia of The Perfect Pantry. I asked if anyone wanted to participate in a virtual Drop In & Decorate and boy, did you! Our little group ended up donating over 650 cookies!!! ♥I'll start with Cheryl, of TidyMom, who I dub "the Queen of Drop In & Decorate." Not only did Cheryl and her girls and their friends makes and donate a total of 220 cookies ( to Agape House and to A.L.I.V.E. ), Cheryl designed these little stickers that we could all use on our donations! ♥ And, Amanda of i am baker (LOVE this blog...cannot get it to load in my Google Reader...I digress, but if anyone has advice, I need it). Amanda takes THE most gorgeous pictures...maybe because her cookies are gorgeous! ♥ Now, here's Crisanne...another former Delta flight attendant (woo-hoo)! 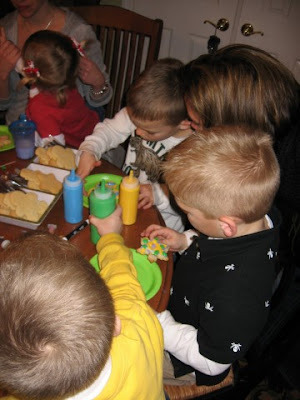 Crisanne and her mom's group decorated 6 dozen cookies for the Ronald McDonald House in Columbus, OH. Yay!!! How great to get the kids involved, too! ....to the Silverado Senior Living. 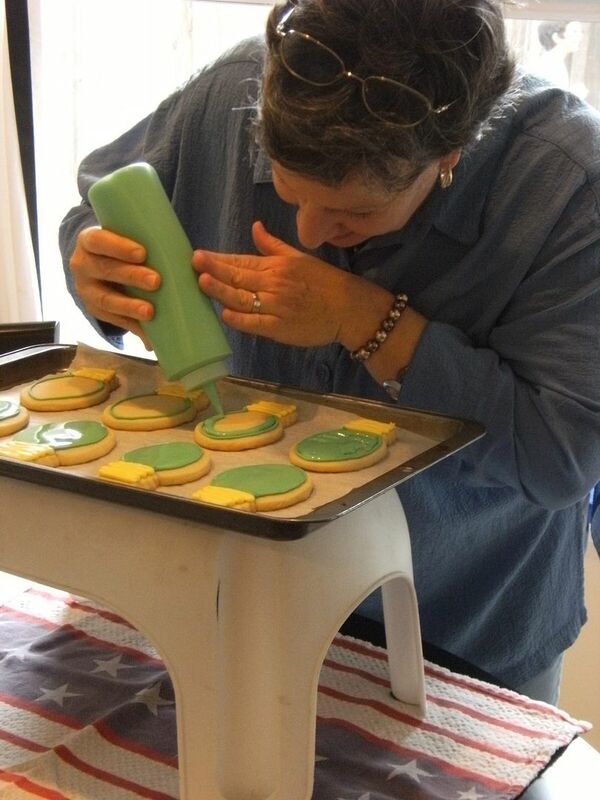 Then, my friend Peggy came over and helped to decorate 66 cookies for the Montgomery County Women's Center. 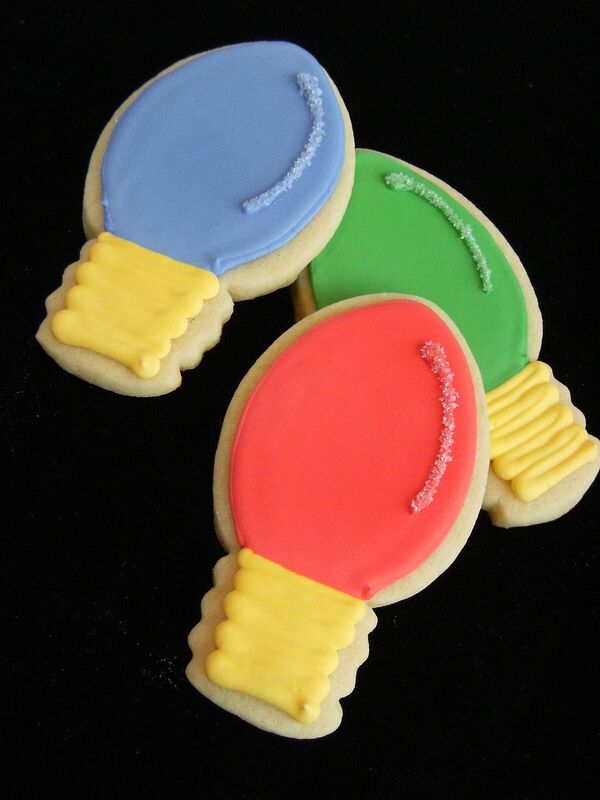 ♥Ann Marie's (of Household6Diva) cookies for a baking auction. Aren't they fabulous?!? I love the RED cookies! Ann Marie said the auction raised $700 in about 30 minutes. 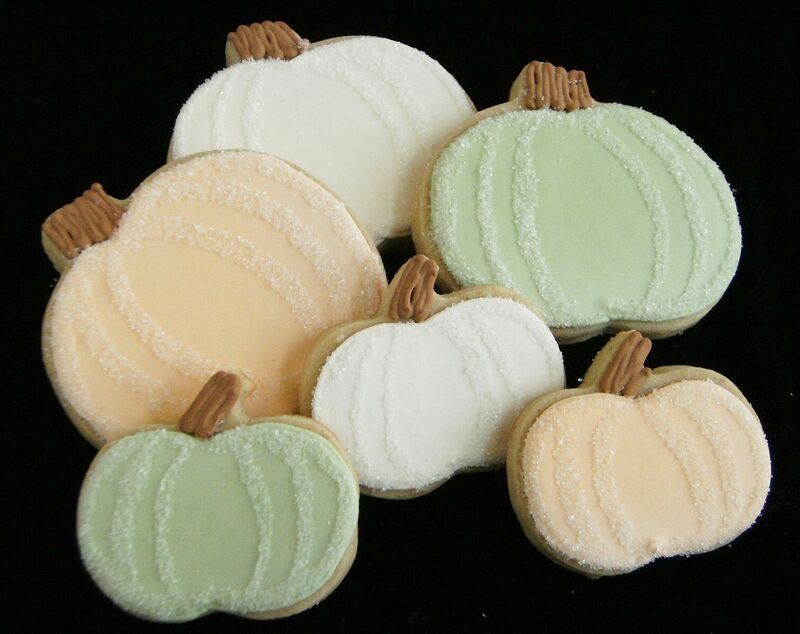 I'm sure it was all because of these cookies!!! "OK, so we decided to go craaaaazy and our family is hosting a Gingerbread House making party for 25 kids at our local family homeless shelter. My girls have sorted all kinds of candies into bags, we're whipping up gallons of royal icing, and we're going to pre-assemble 25 houses to take down in our mini-van. Wish us luck! I have a feeling we're all going to be veeeeeery sticky before this thing is over." How COOL is that?!?!? I haven't seen pictures, yet, but I'll be sure to add some when I do! Thank you, thank you so much for participating! 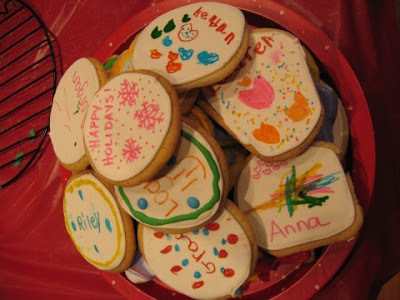 Remember that you can donate decorated cookies ANYTIME! Click on over to Drop In & Decorate for more information. Thanks for spreading the holiday cheer!!! awww that is so awesome! and I wanna come help decorate one day! that looks like so much fun!! Thank you so much to all of the families and friends who participated in the first-ever virtual Drop In & Decorate! Every one of the cookies is a work of art, and I know that the families in your communities will have happier holidays thanks to your efforts. In my book, you are all rock stars! Special thanks to Bridget for hosting this event, too. I hope it's the first of many to come. Hugs and wishes for a wonderful holiday to all. PS I take it back. I accidentally added the "I Am Mommy" blog instead of "I Am Baker". It worked with Mommy but not Baker. :) Bummer. Sorry for the false hope. Wow! I am so impressed! Thanks so much for supporting a great idea that is really catching on. Wonderful story and photos! I love the way the Drop In & Decorate idea is spreading. I admire your cookies very much, and thanks for the technical support you have given Lydia and me. We must find a way to decorate together! Thanks so much for organizing all this! I look forward to donating even more next yr.
so great! I am going to do this with my son's Tiger Scout group, but couldn't get it organized for Christmas...Valentines, maybe! I am with you on "i am baker". i love the site but can't load it into my reader, so I have it bookmarked, but forget to check it constantly! you guys are so cute delivering your cookies, I am sure they enjoyed them. very special and great idea! oh WOW!! Bridget I am HONORED you mentioned my cookies!! :) I have GOT to tell you -- I am now ADDICTED to royal icing!! I LOVE IT!! 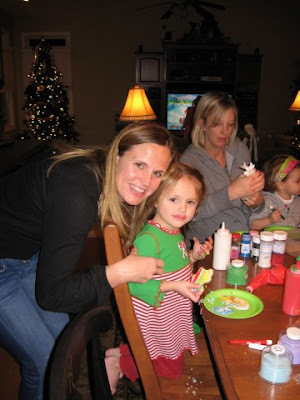 sounds like your DROP in and DECORATE was a huge success! lots of cookies dontated to those who need them! and looks like a lot of fammily's had fun decorating! AWESOME job to you and the rest of the decorators!!! Wow! I plan on doing this in either Jan. or Feb.! THANKS for the inspiration! What a wonderful idea... looks like everyone had a great time for a great cause! What a sweet idea! Your cookies are beautiful. talk about total cuteness! And these guys are all so talented! WOW that's a LOT of cookies!! everyone's looks FANTASTIC!! This was so fun! Thanks for bringing it to my attention Bridget!! I still need to learn to decorated a cookie like you do! 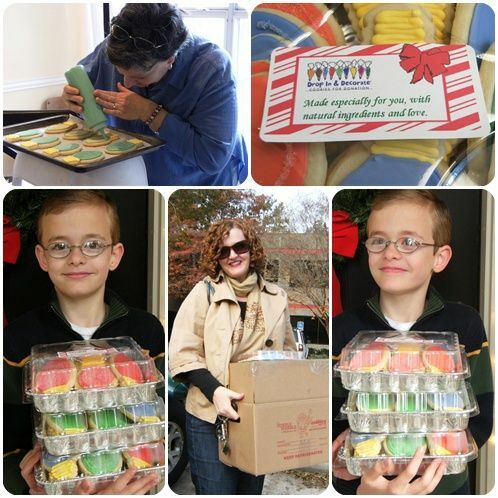 Love the picture of your family delivering your cookies! I think all these cookies went to wonderful deserving people. awesome job to you all! 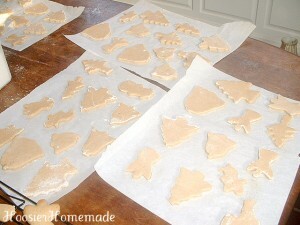 I had a question about your lightbuld cookies...where did you get your cookie cutter or did you trace them out? I want one! Hey Monica...you know, that is a cutter I've had for a LOOOONG time!!! I know I've seen it at craft stores before. Hope you can find one! sounds soooo fun!!! i want to drop in and decorate..u make the icings! hehe! 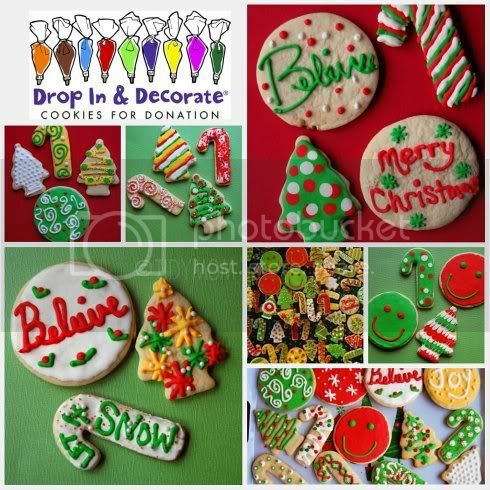 All of those cookies look fabulous - but my favorite are those little Christmas lights! How cute!! 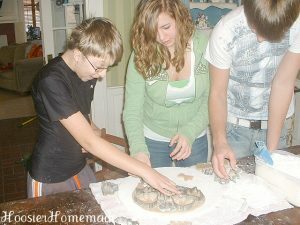 I am still working on my cookie decorating skills...maybe I can join in next year! 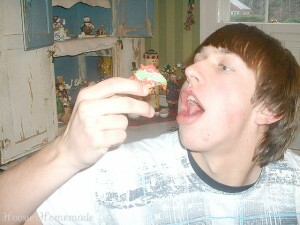 Oh, I am so jealous of those cookies! I've advanced as far as crinkles, LOL. I saw your tag says "made with natural ingredients and love". I've looked high and low for natural food colors in Houston - where do you get yours? The health food stores and Whole Foods don't carry them! Is there a specialy shop I can get them from? btw) That gal in blue with the glasses on her head looks like she may have some potential. In all seriousness, what a wonderful undertaking, community outreach and round-up!